Earlier this month Shake Shack Covent Garden served up a super limited collaboration of 500 burgers created with chef Massimo Bottura who dropped in to the Covent Garden Shack as part of the London leg of his international book tour for “Never Trust a Skinny Italian Chef”. 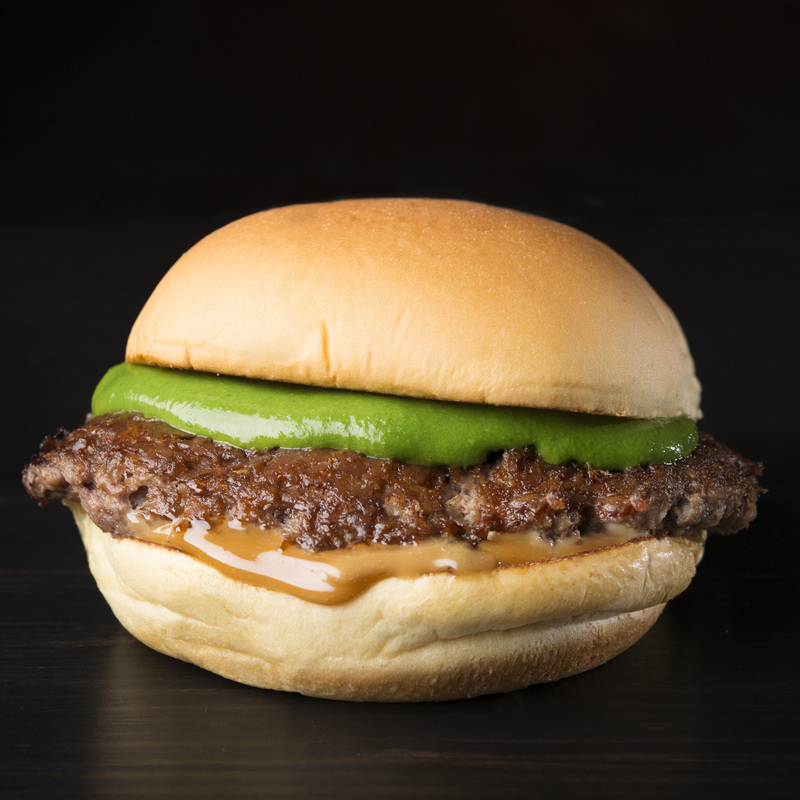 Shake Shack’s limited edition burger—The Emilia, named after the Emilia-Romagna region of Italy—was masterfully crafted by Chef Bottura and Shake Shack culinary director Mark Rosati. It featured a custom-blend 100% Aberdeen Angus beef patty ground with cotechino sausage and Parmigiano reggiano, topped with a salsa verde sauce and Villa Manodori balsamic mayonnaise made with Chef Bottura’s Villa Manodori Artigianale balsamic vinegar from Trebbiano grapes grown in Italy. This entry was posted in Food & Art, Foods Blog, London Food PR, London Restaurant PR, Massimo Bottura, Spoon Blog 2014, Spoon Loves and tagged Burger, Chef Massimo Bottura, Emilia-Romagna, Mark Rosatti, Never Trust a Skinny Italian Chef, Phaidon, Shake Shack, The Emilia, Villa Manodori. Bookmark the permalink.